Nails Inc is one of those brands I always hear positive things about, however I have never actually tried any of their products until now! 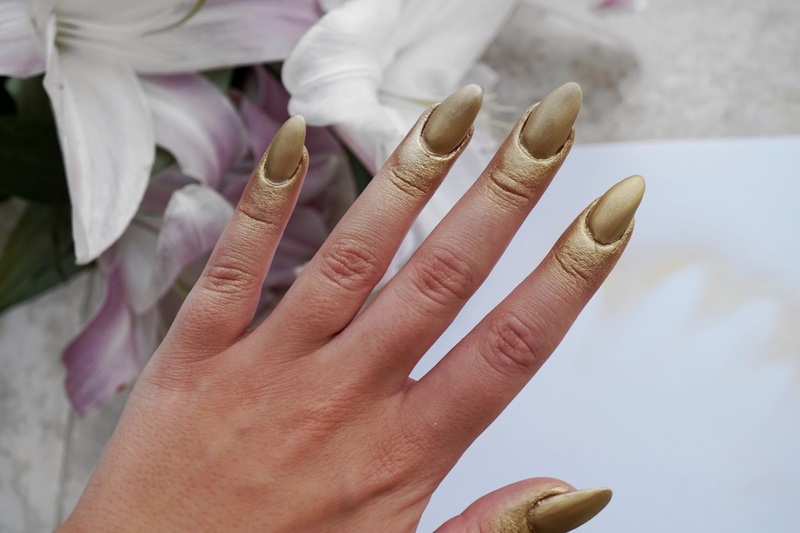 When I heard they were collaborating with Lottie Tomlinson and bringing out the 'Good As Gold' Spray Can Nail Polish I couldn't help but purchase it. I watched a tutorial on Lottie's Instagram (which I will link here) and the results looked so pretty! I ordered this product on a Sunday night and it actually came on the Monday which I was really impressed with as I had selected just regular delivery. 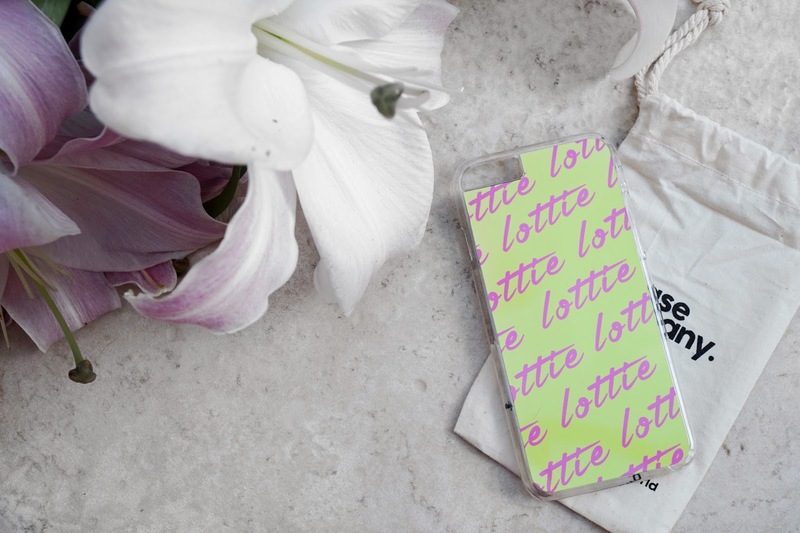 The package was adorable as it came with a little note from Lottie and a phone case which I think is such a cute touch. 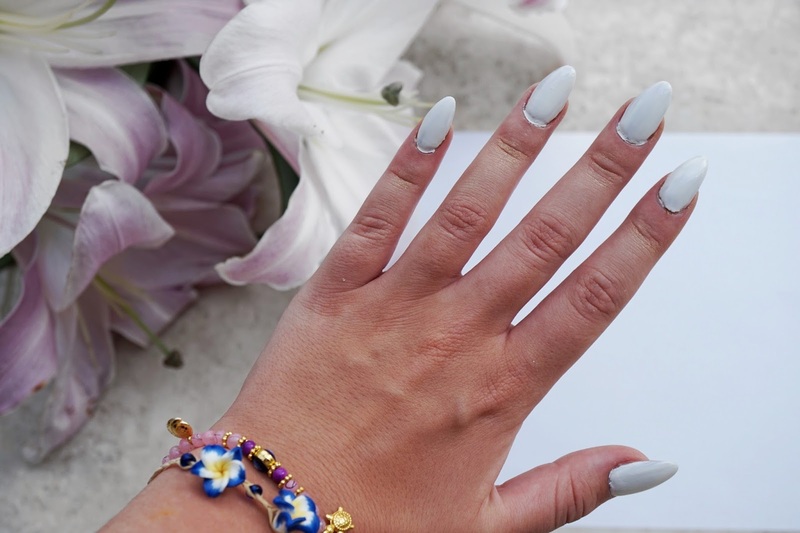 Safe to say it took a while for me to work out how to achieve the best results as I had a cappuccino coloured gel on my nails at the time so it wasn't the most natural base colour. On my first attempt I was really disappointed with how they came out and was worried I was doing it completely wrong but in all honestly I think it was just because the colour underneath! I will insert a photo below so you can see what I mean about the colour coming through. On my second attempt at using the spray can I painted my nails white so there was nothing taking the attention away from the gold - this is when I fell in love with this nail spray, it looks so nice once it's all finished and it was a LOT quicker than applying loads of layers of regular nail varnish and waiting for them to dry. The only downside to this product is that it's extremely hard to tell how much product you have left as it's a daily small can! I found holding the aerosol upright gave me the best coverage (it's best to spray them outside so it doesn't go anywhere). Whenever I held it over the top of my nails it lost it's pigment and i'm not entirely sure why. 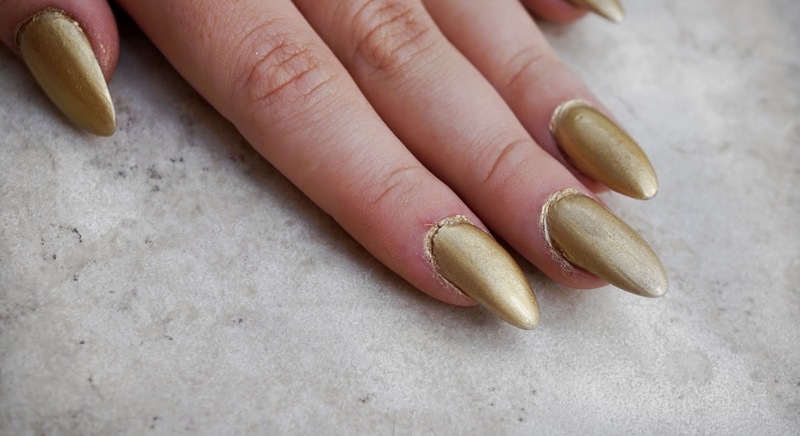 Clean the edges using a makeup wipe and as you get closer to the nails I would recommend using an SOS pen to get close to the nail edge without smudging the colour. 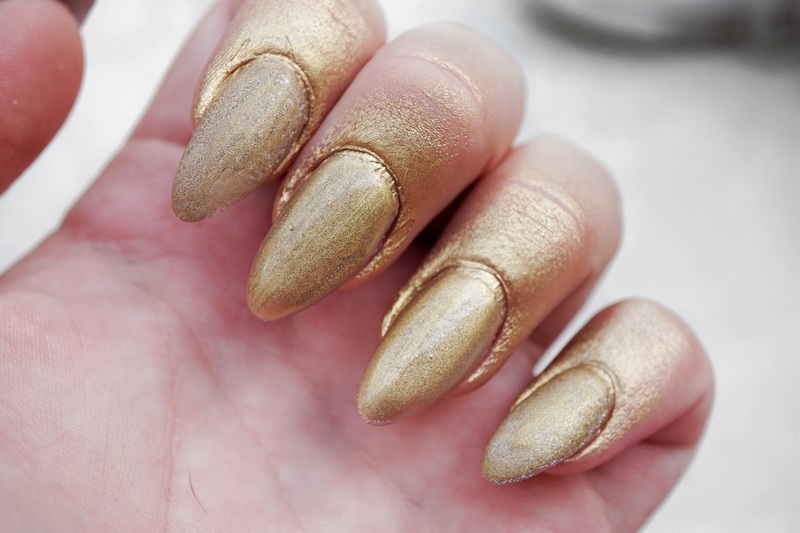 You can get the Good as Gold Spray Paint here and the Top/Base Coat here. 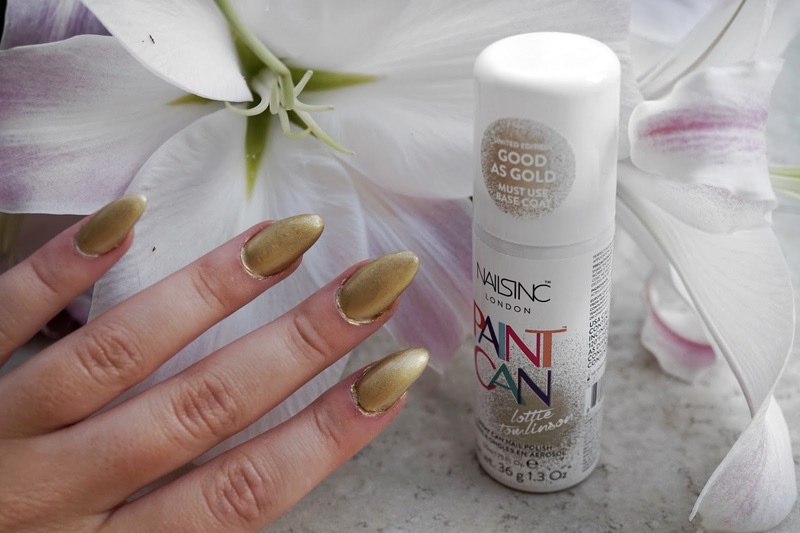 I would definitely recommend giving this a go if you haven't tried a spray polish before as it's such a fun and easy way to paint your nails. Hi! Does the bag your phone case came in say what company it's from?